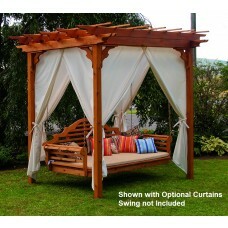 Turn your backyard into a luxurious staycation hideaway with the help of a porch swing or hanging swing. Settle in with a cup of coffee as you watch the sunrise. Have an in-depth, soothing conversation with someone you love. 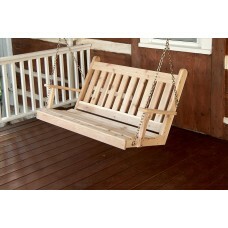 Porch swings are an iconic way to enjoy everything that's wonderful about your backyard or front porch. 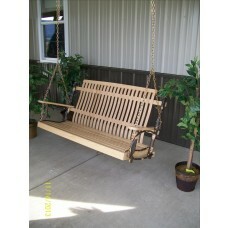 We've got a full selection of fine hardwood swings including cedar and hickory hardwoods. Shop now. 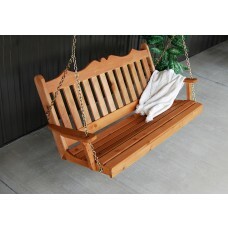 An impressive and sturdy porch swing hand-crafted from hickory. A cedar A-frame stand that supports a swing or swingbed. 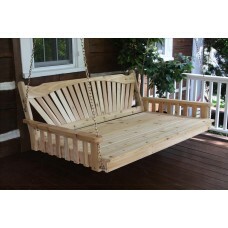 Marlboro porch swing with chains made from cedar wood. 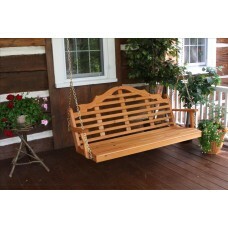 A timelessly beautiful front porch swing made from red cedar. 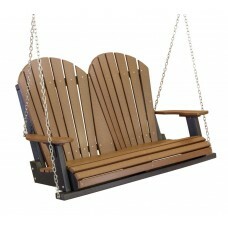 Beautifully-designed Royal English swing chair made from cedar wood. 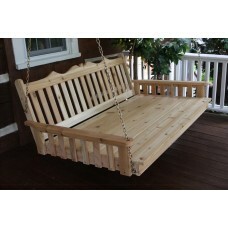 Elegant, traditional English swing chair made from cedar with chains. 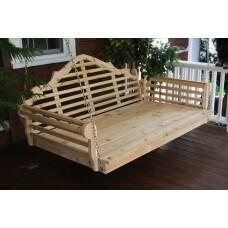 A stunning pergola hand-crafted from red cedar with swing hangers. 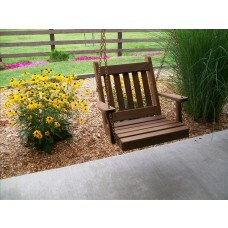 We've got single swings for those who don't want to share and porch swing benches for those who want to settle in with loved ones. 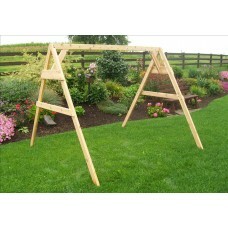 Swings on frames for those who don't already have a suitable hanging space and swings on chains for those who do. Each swing is easy to assemble; everything you need comes right in the box. 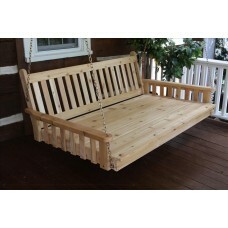 Every swing in our selection is also designed to survive all of the rigors of outdoor living. We've also got a variety of styles, from the traditional English porch swing style to the broad, sprawling fan back style that offers so very much room. Enjoy a variety of color options and swing cushion options, and don't forget to take advantage of our free shipping policies on each and every item on our list. 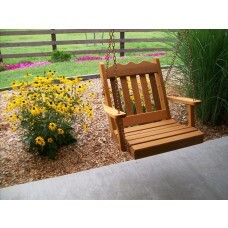 Don't you deserve to enjoy a fine porch swing of your very own today?